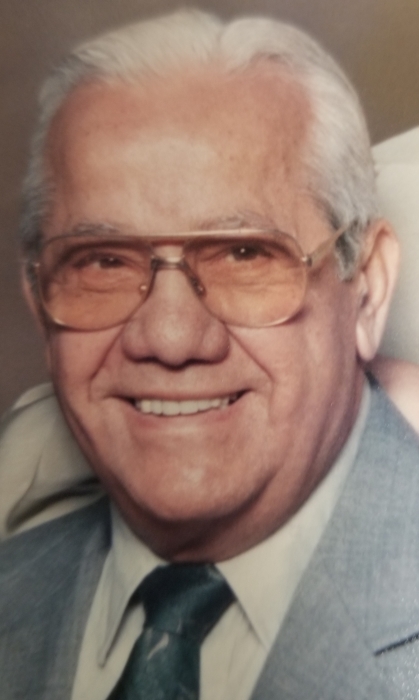 Obituary for John M. Voccola, Sr. | Nardolillo Funeral Home, Inc.
On Monday, November 5th, 2018 John Mario Voccola Sr. passed quietly into the Hands of the Lord at the age of 97, where he rejoined his late wife, Ida M. (Maffei) Voccola. John was born on September 5th, 1921 to parents Ernesto Voccola and Teresa (Calvino) Voccola. John and his six siblings – Etta, Sue, Edith, Edward, Ernest Jr., and Robert – were born in Providence, RI. Throughout his life, John was known for dedicating his time, efforts, and energies to his community. Some of John’s proudest moments included serving as Cranston Councilman for over 10 years and becoming a founding member of the Alpine Country Club, where he served as President in 1968. John’s commitment to others led him to spearhead the remodeling of the American Legion Auburn Post 20, which allowed Veterans to gather together in an accessible, modern space. John also secured the donation of a Vietnam-era U.S. Army tank to the town of Johnston. The tank is proudly displayed near the Johnston War Memorial. John formerly owned Federal Auto Body and JERE Reality Company. All who knew John admired his devotion to his family, his entrepreneurial spirit, his generosity, and his smile. John will be deeply missed and lovingly remembered by his sons, John and his wife Jan and their daughter Gianna, Michael and his wife Nancy and their children Michael John and Ami, her husband Tim and their son Luke, and his daughter Kathleen, retired Associate Justice of the Rhode Island Family Court and her spouse Fran O’Connell. John was predeceased by his wife Ida M. Voccola, his daughter Donna Voccola-Rosa, along with his parents and siblings – Etta, Sue, Edward, and Ernest Jr.
His funeral will be held on Friday at 10 am from the NARDOLILLO FUNERAL HOME & Crematory 1278 Park Ave, Cranston , followed by a Mass of Christian Burial at 11 am in St. Mary’s Church , Cranston . Entombment with Military Honors will take place in St. Ann’s Cemetery, Cranston . VISITING HOURS: Friday 9-10 am . In lieu of flowers memorial contributions may be made to: Briarcliffe Gardens, 53 Old Pocasset Rd., Johnston , RI 02919.